Learn Spanish, French, German, Portuguese, Italian, and English. Totally fun and 100% free. "Among apps for learning or practicing a language, you can't beat Duolingo." —PC Magazine. Awarded Editors' Choice for Language Learning. 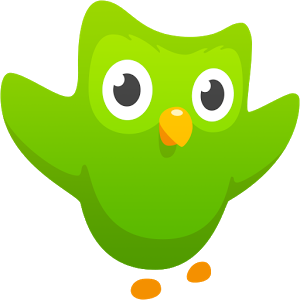 If you want to learn Spanish, French, German, Portuguese, Italian, or English, the fast, fun, and free way, there's no better choice than Duolingo. We don't always redesign the app, but when we do, we prefer to go the whole way. From an entirely new look to exciting end screens showing your weekly progress, Duolingo has been completely overhauled. It's faster, friendlier, and more fun! - Fixed issue preventing users with Turkish phone locale from making progress. Facepalm! - Layout tweaks for phones with small screens or large keyboards. - Various stability improvements, new tires, and a full tank of gas.